Short Business Description: Illinois Media School Chicago prepares students for a career in radio, television, audio and video production, web development, and the business of media. Short Business Description: www.LessonsAdvisor.com is a national marketplace for students to find tutors and instructors in over 500 categories. Each tutor can create a customizable profile and include pricing, schedule, and even teach online to thousands of potential new students. City or Areas Served: Our site covers every zip code in all 50 states. Short Business Description: Ohio Media School Cleveland prepares students for a career in radio, television, audio and video production, web development, and the business of media. 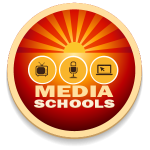 Short Business Description: Ohio Media School Columbus prepares students for a career in radio, television, audio and video production, web development, and the business of media.